Independent's 2018 Reader's Choice Awards! Thank you again to all of our loyal customers! We appreciate your business and we will continue to work hard every day to earn that business! 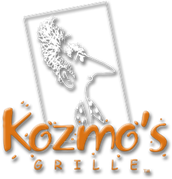 And THANK YOU to our tremendous KOZMO'S KREW for your hard work in achieving this success! 2013 Small Business of the Year!